Wednesday 16th September 2015, the singer, songwriter and activist Bob Geldof will participate on the festivals theme day against poverty and inequality. Kick is booked as arena for a long evening that will include a debate about rise in inequality in Norway and poverty in the world. 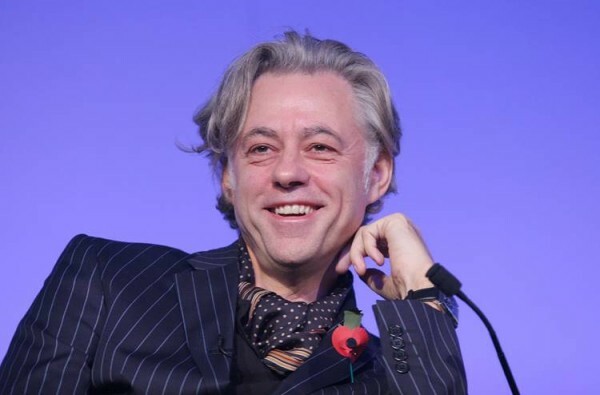 Bob Geldof is known as the man who created the Band Aid initiative, the massive Live Aid and, twenty years later, the Live 8 concerts, was the frontman and songwriter in Boomtown Rats that received a number of international mega-hits including the famous “I Don’t Like Mondays” in 1979. A song with a serious text about a shooting that same year where a 16 year old girl shot ten people because she did not like Mondays. Now 63 years old Geldof is still as involved as ever in the plight of the poor and overcoming adversity. In 1985 when he created Live Aid is was a call for charity to help 32 million dying people. 20 years later he created Live 8 which was a call to action to motivate the G8 countries to drop debt and unfair trade agreements and bring justice to the relationship with the African continent. In 2014 he added the ‘third leg of the tripod of support for Africa’ by creating a USD 500 million private equity fund to bring investment to African business and commerce. In 1986 Bob was honoured with a Knighthood by Queen Elizabeth II in recognition of his outstanding work for the poor and disadvantaged. He has subsequently received the North South award and The Nobel Man of Peace award from the Nobel Laureates for his ongoing commitment to the cause. Thirty years he is recognised as being personally instrumental in many of the positive changes in the continent. MDGs that engage Sir Bob include halving extreme poverty, ensuring education for all, empowering women, reducing child mortality, reducing maternal mortality, combating the spread of HIV / AIDS, Malaria and other diseases, increasing the proportion of people with access to safe drinking water. This year it has been 30 years since the great Live Aid concert that gathered millions of TV viewers and audiences worldwide. It is 40 years since he made his debut as an artist. Årets tema 2015: Tenk nøye på hva du vil mene. Det kan bli dyrt å stå alene.